I was set to give this book three, possibly four, stars but the last chapter forced me to give it only two. There was a lot that I liked about this book, it was a light easy read that had interesting and complex characters who I connected with. 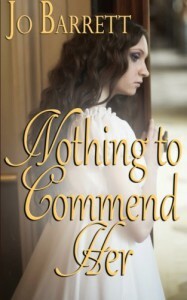 Agatha is a plain, outspoken bluestocking with insecurities that rival her husband's. She was a delightful character, who approached the danger she faced sensibly. Magnus, her husband, was horribly scarred in a fire and he proved to be an extremely sympathetic character. His self-confidence was severely damaged not only due to his scarring but also a first wife who degraded him prior to the fire. It was pleasant to read a male character who wasn't completely confident in his appearance. Additionally, the secondary characters were also very entertaining and endearing, with the disappointing exception of Katherine Reynolds, who may have come into the story too late and had too little character development to really become attached to. She read as a carbon copy of the heroine. The plot felt slightly rushed at the beginning, for example the wedding felt quite abrupt, there was no explanation or reasoning from Magnus as to why he chose to marry Agatha, it just suddenly happened. However, the pace evened out a little more as the book progressed. Overall, I enjoyed this book a great deal, right up until the last chapter. The character Beatrice was introduced very early in the book and it was quite clear to the reader that she was the one attempting to kill Agatha. My initial assumption was that Beatrice was in love with Magnus but that he never returned or recognized her affection and when he married his first wife, Elizabeth, she became angry. This was not the case. Instead Beatrice turned out to be in love with Elizabeth, who did not return her affections. I found the use of the Psycho Lesbian trope to be unnecessary and slightly offensive. If this book had been written in the 80s I might (might) have understood, but in the second decade of the twenty-first century we should be moving past such outdated, harmful stereotypes such as the deviant homosexual. Again unnecessary and offensive. It also appeared slightly ironic given the otherwise progressive, at times anachronistic, treatment of women. I want to give Nothing to Commend Her only one star, but I won't, I'll be generous, since I did like most of it, and give it two stars and block out/ignore the ending. However, I'll hesitate before attempting another one of Jo Barrett's works.